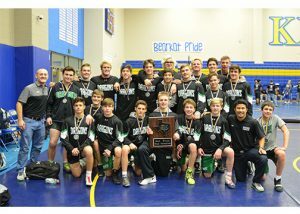 Allen High School wins its 9th consecutive Dual State Championship. Southlake Carroll, in a come from behind finish in the Semis against Arlington Martin, made it to the championship before falling to Allen. Arlington Martin came back to win the third place match 35-17 over El Paso Franklin. Second place Southlake Carroll provides the drama in their semifinal victory over Arlington Martin.